Hannah is a delight to live with. She loves life and everyone she meets. She has super house manners and is truly just a big love. She came from a single puppy litter. It’s all about quality, not quantity here at SnowDowne! 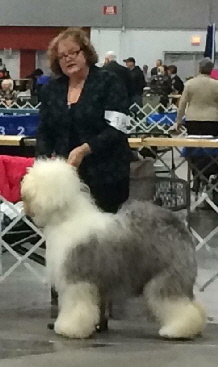 She finished her championship very easily, including going Best of Breed over Specials. She has a flawless front and rear and moves like a dream. 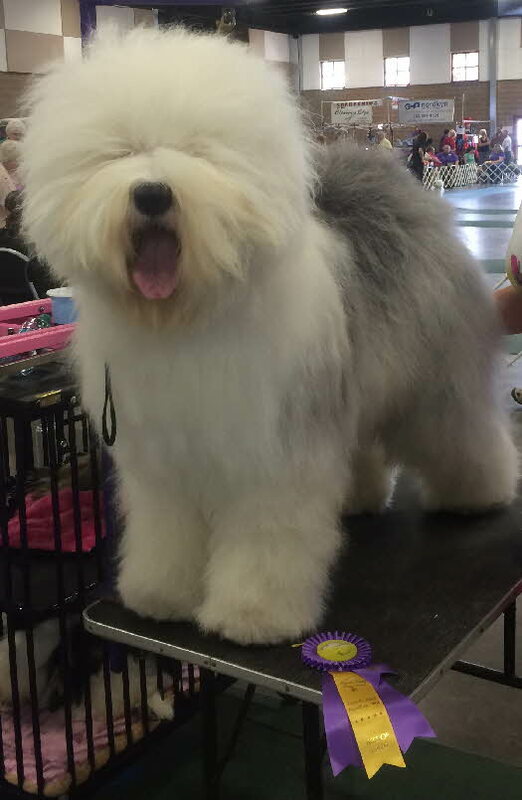 Her daddy Becket left his stamp on her, with his wonderful bone, body, head and movement. 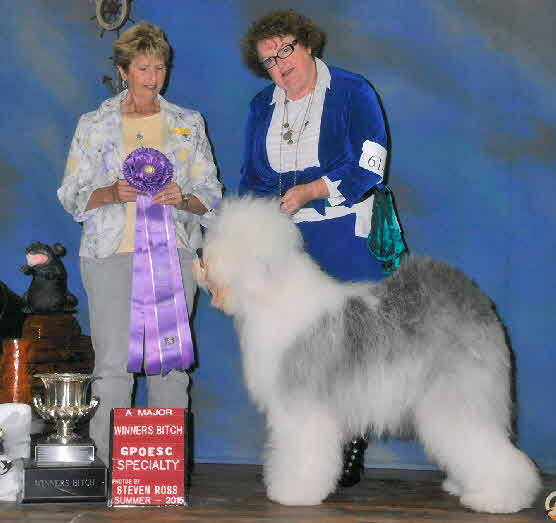 Huge thanks to Becket's owners Ann Lapp and Julie Sarnecki for allowing us to breed to their beautiful boy. Hannah’s results for all of her health tests were normal, including hips, eyes, hearing, heart, thyroid, MDR1, DM, CA, PCD and EIC.